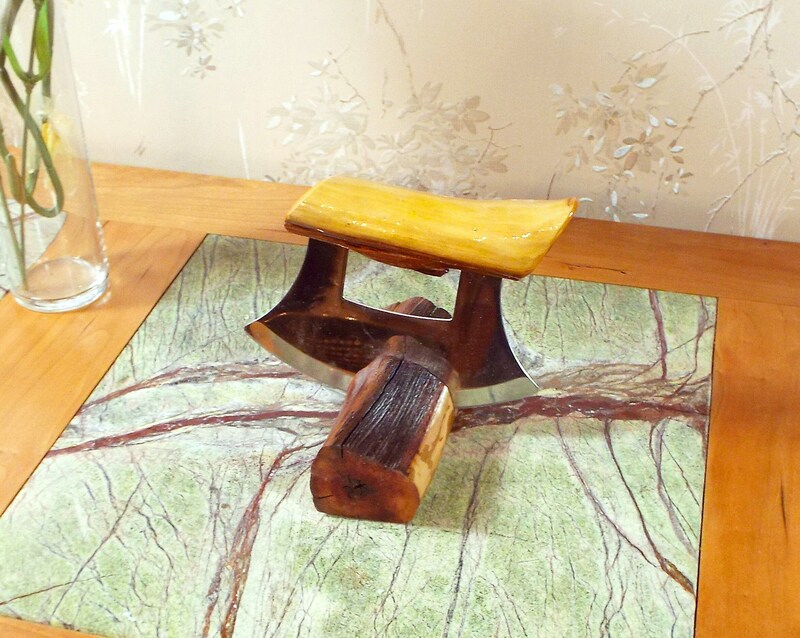 This high quality Large Ulu knife and Chopping Board are American made for a lifetime of use. This size and style of Ulu Knife is often used in a commercial kitchen. 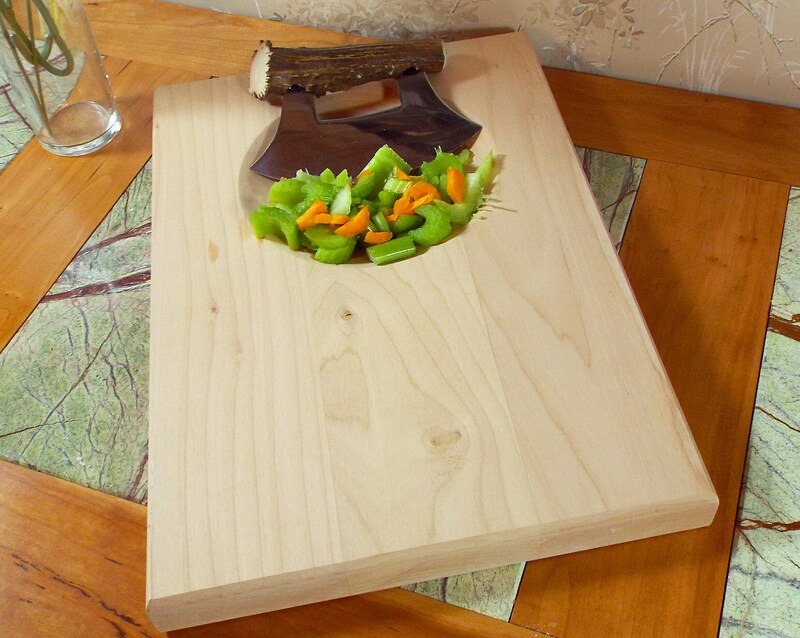 The Ulu blade is curved to facilitate the chopping action at the proper angle in the nest of the chopping board. The results are perfectly chopped vegetables, fresh herbs, spices, fruit, nuts. You will enjoy trouble free chopping of ginger or other vegetables that are very fiberous. You will have physical control so what you are chopping is not over processed as can happen when using a blender or other mechanical device. The high quality knife blade is made in America. 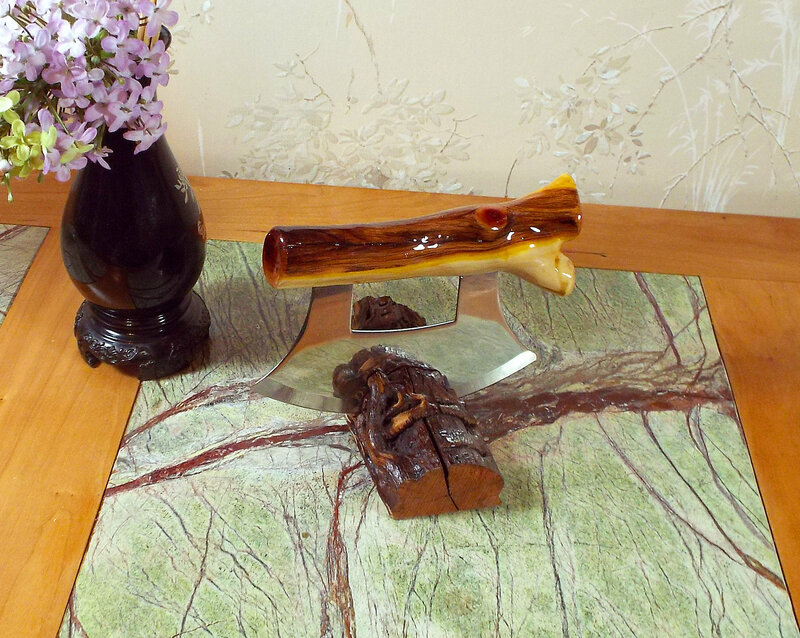 The blade is tempered and honed to an exact sharpness for lifetime of use. 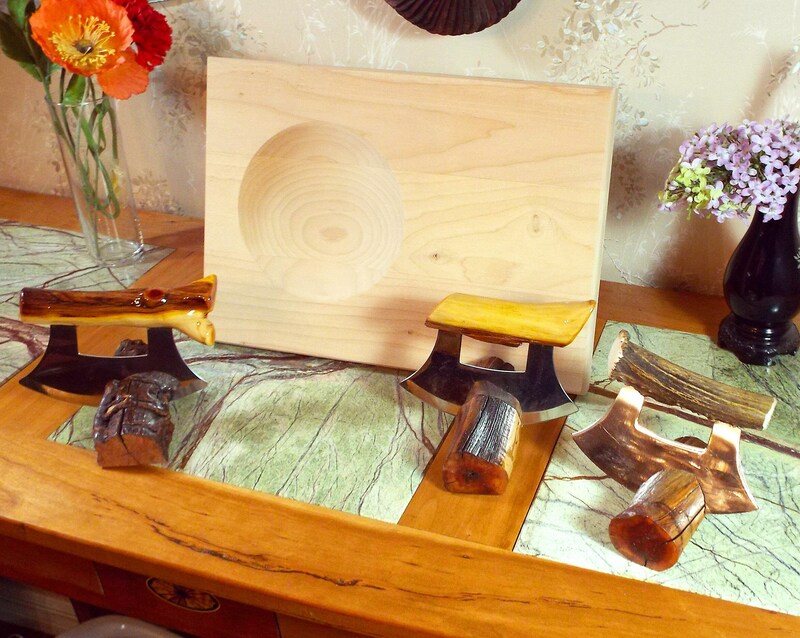 Ulu Knives can be fitted with an Oregon Manzanita or a Shed Antler handle. To assure an easy to find and attractive storage option a Manzanita stand is available at an additional cost. 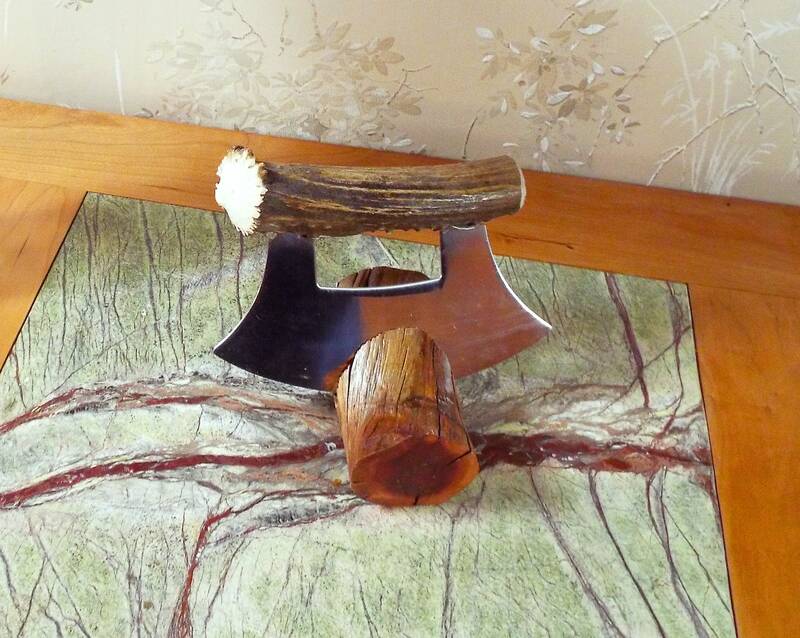 Approximate size of the Ulu knife blade is 5.75 inches wide and 5 inches high. 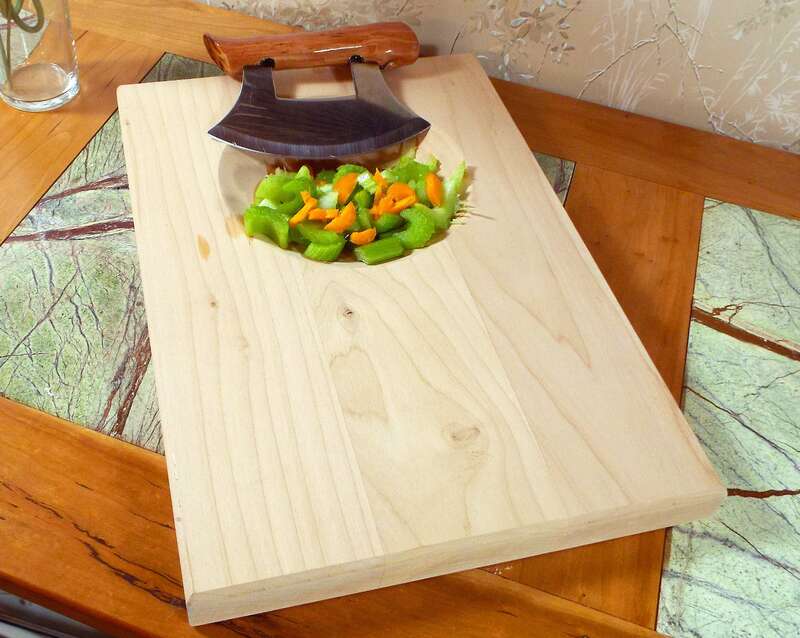 The Cutting Board is made of high quality Alder. 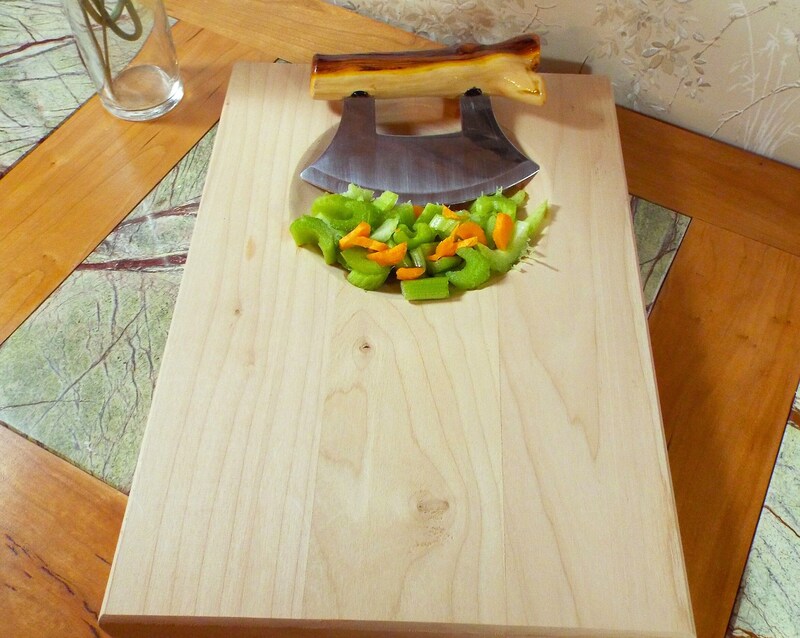 Cutting Board is 14" Long x 10" wide x 1 3/4" Thick. The board is unfinished and comes with detailed instructions on the proper oiling procedure and suggested oil types for best results.